Download a PDF ebook of over 150 short quotes from Abiding. When one recognizes that “all that’s being done, is That doing what it does,” it becomes clear that (from the ultimate standpoint) all which is unfolding is an unprecedented, spontaneous development of the Omnipresent manifesting as, and through, every immediate occurrence. From the vantage point of the Absolute, it makes no difference what occurs, since there is no confinement to a finite consequence. Regardless how the individual organism may evaluate each occurrence, in the final analysis it makes no difference. For those who realize the implications of the nondual teachings, the fact that ultimately nothing really matters is carried over into one’s waking awareness and daily life. It is also clear that while we are embodied in this material form and continue to function in the relative world, the dualistic perspective (rather than the nondual awareness) is the state of mind which pertains for most persons—who are typically not prepared to hear that their “self” has no meaning in the ultimate sense. It’s probably not surprising that such teachings were once kept secret. However, they’re not secret anymore, and can lead to a life-changing perspective, or Consciousness. After my first book, Living Nonduality, was published in 2009, I received dozens of e-mails, in addition to some letters, from people all over the U.S. and abroad. In many instances, particular questions or quandaries concerning the subject of enlightenment were expressed. My publisher set up a blog page on my website (livingnonduality org) and the more succinct queries were often responded to there. In other instances, I sent my reply by mail. 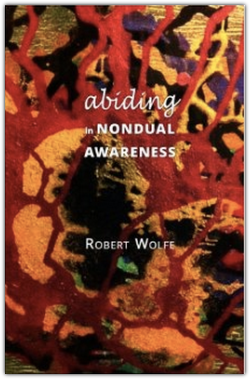 The monographs printed in this volume include such correspondences with people on nonduality and are an expansion on the material published four years ago; a few of the selections are those for which there wasn’t room in my previous book; and a few others are akin to journal entries. All of them relate to various aspects of nondual realization. "From the vantage point of the Absolute, it makes no difference what occurs, since there is no confinement to a finite consequence."